John Galm was doing the Cap’n Jazz-y “emo revival” thing in Street Smart Cyclist and Snowing way before the revival broke on a more mainstream level, and by the time it did he’d ditched the genre completely for his garage punk band Slow Warm Death. 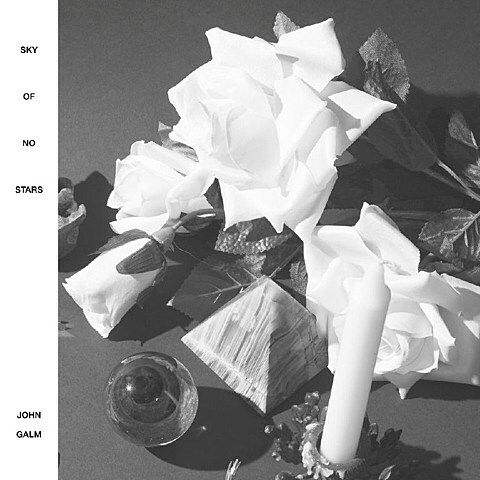 SWD is still sorta active, as is his even heavier garage punk band The Beds, and now John’s set to release a solo album, Sky of No Stars, this week (10/21) via Broken World Media (Derrick from TWIABP’s label). For this one, he’s taking on folky ’90s slowcore/sadcore, and it turns out he’s as good at getting quiet and he is at rocking out. Lyrically, this is heavy stuff. Most of the songs deal with death, and God and ghosts are both recurring characters. For this album, the narrator’s “been counting the days since you’ve been lost,” recalling when “you fell asleep on the drive home and you didn’t see the turn,” and wondering “how many drinks until I’m killed?” But elsewhere on the album he reasons, “That is fine. I will be there when you die, because death is just another part of life.” It’s a great record, and you can hear it for yourself now. The full stream is premiering in this post.